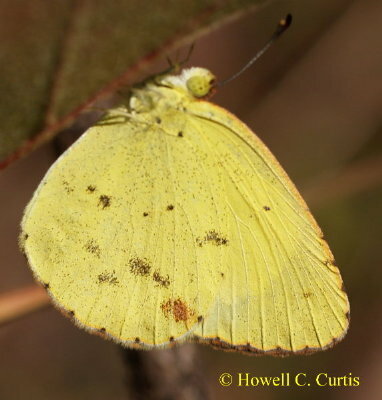 Identification: Upperside of male forewing yellow with wide black apex. 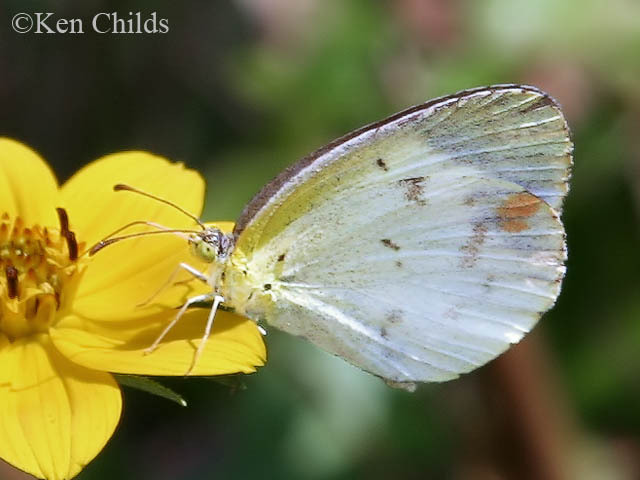 Hindwing with black border. 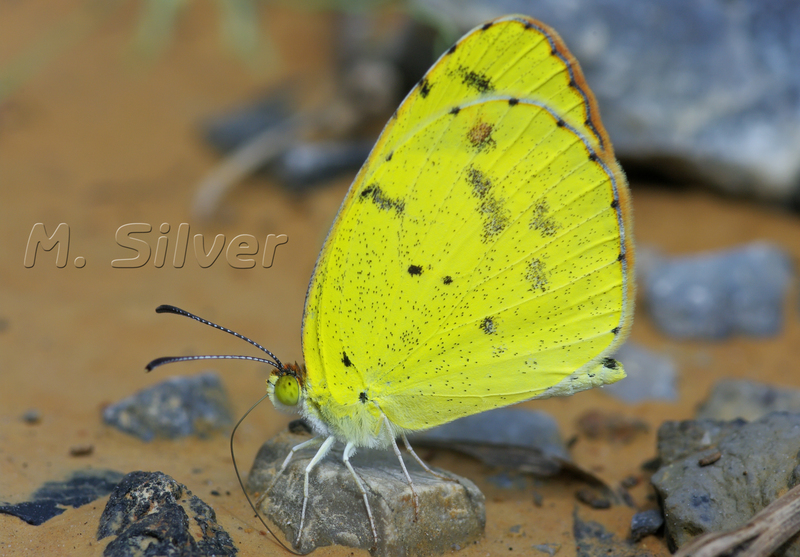 Female yellow or white (rare) with black borders. 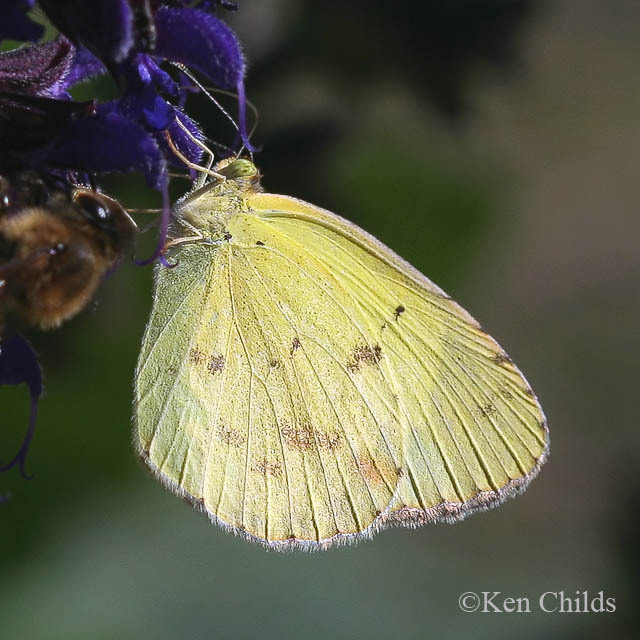 Both sexes with small black spot in forewing cell. Wing Span: 1 1/4 - 1 3/4 inches (3.2 - 4.4 cm). 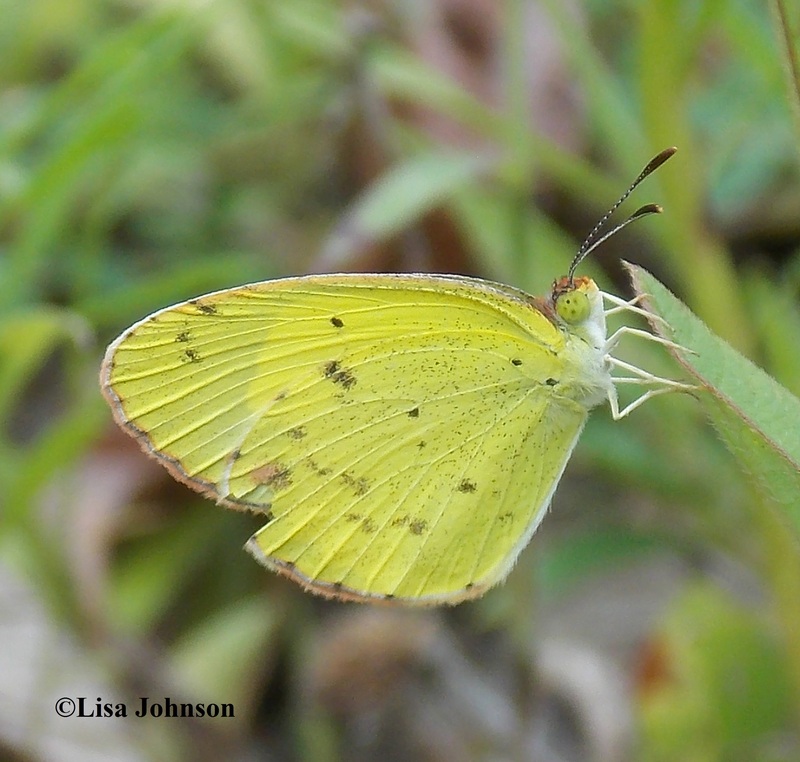 Life History: Males patrol for females during warm daylight hours. 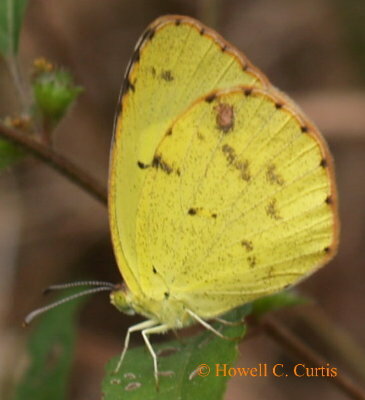 Females lay eggs singly on midveins or between leaflets of host plant leaves. Flight: Four-five flights in South Texas and the Deep South; 1-3 flights in northern part of range, from late spring to early fall. Caterpillar Hosts: Partridge pea (Cassia fasciculata) and wild sensitive plant (C. nicitans) in the pea family (Fabaceae). Adult Food: Nectar from flowers in the aster family (Asteraceae) including goldenrods and asters. 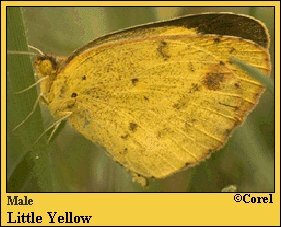 Habitat: Dry, open areas including roadsides, sandy fields, abandoned fields, along railroad tracks, and occasionally open woods. Range: Resident in Costa Rica north to South Texas and the Deep South; seasonally colonizes most of eastern United States and west to eastern South Dakota, central Nebraska, and eastern New Mexico.